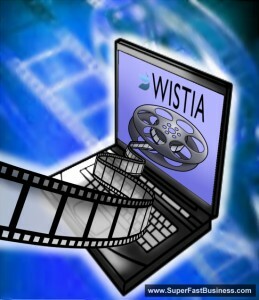 Wistia recently announced its free video hosting. It’s now making its name in the internet marketing community because it streams fast, easy to upload, encodes and plays on any device, embeds everywhere, has a tracking analytics and it’s absolutely free. Wistia have just announced free video hosting, so if you wanted to try it out, then check it out. I love Wistia for videos because they stream fast, they’re so easy to upload, it encodes and plays on any device, and it embeds everywhere, so from one place I get maximum control, highest quality, and now it’s free, so you really have no excuse not to try it out. The best thing of all is the amazing tracking analytics. You can see where people drop off your videos, so that you can actually re-upload them or optimize video, and that alone makes it far more valuable than a service like YouTube, for my money. Let’s talk about caching and blogs. When you’re using a reseller account for someone like HostGator and you have a powerful blog, eventually they’re going to tell you that you’re using up too much bandwidth or you’re using up too much resource on the server, and they’re going to insist that you install caching. One of the caches that you might install is called W3 Total Cache. Now what you might find is it’s a little bit confusing using these caching things. Sometimes the scripts are a little bit buggy, sometimes it can be complicated to set up. Sometimes it can affect what people are seeing on your site. I don’t love caching things. I certainly like to put all my media on something like Amazon S3 or offsite like Wistia or YouTube. But what you might want to do as an interim measure, and I certainly do this for my most powerful sites, is I just get a dedicated server. Then I’m the only one on there, the resources I’m using are nowhere near the capacity of that high quality server, and it loads much faster for my customers. So use S3 for your external media, get yourself a decent server, and if you have to install plug-ins and caches, make sure you get the right setup because if you don’t, it’s going to be a bit janky for you and for your users. Some people ask me what do I do to promote my blog posts. And this is a great question. Rather than spend all my effort just creating content and putting it on my blog, that’s like the starting point. You know, you shouldn’t leave it there, you should actually maximize it. I would rather make five good pieces of content and promote them properly, than to make ten pieces of content and not promote them. Some of the things I do after I post a video are: I make sure I post it to my Facebook wall, I will usually make a press release for my post, I will announce it with a bookmark, and certainly our RSS feed for the blog has been submitted to RSS syndication services like Feeditch. Now there are other things that I do, and one of the most powerful things of course is to email my customer list, which I’ve built up to be a targeted, segmented, quality list of people who want to hear from me. I literally ask them, “Would you like to get news updates?” and they sign on for that. Now if you want to find the whole scoop I suggest you go and have a look at Own The Racecourse, it’s a simple mind map and some basic training on what I do to leverage my posts after I post them. I’m sure you’ll enjoy it. Let’s talk about pricing, and there’s a fundamental rule of pricing that I think you should understand. Certainly it’s unwise to pay too little, so it is a race to the bottom when you try and be the cheapest in the market. You’re actually commoditizing yourself, and making price the comparison point is a bad idea. You can never really win in the long term. Unless your business model is huge market share, it’s a recipe for failure. The only thing you need to consider is that you are solving a problem. Therefore, the value of what you’re selling has to be higher than the amount you’re asking and that’s it. So set up an infrastructure. Set up the framework to help people understand why your solution is more valuable to them than not having it. So they will pay the money and get a multiplied result for the money that they invest in solving the problem. And that is the main thing you need to remember with pricing. Be confident, solve problems, give great solutions and you’ll be just fine. Members of SuperFastBusiness can join the Conversion Live Training. I suggest you subscribe to that free training if you’re inside SuperFastBusiness. Come along and understand some of the processes involved in identifying where is the good traffic that’s coming to your business, how can you get more of that, and how can you stop wasting money on traffic that never converts into anything. I’m going to show you some fundamental conversion metrics. Some of the things that I look for in my business: a way that you can create track-able links for your own products, and a way that you can just quickly look up what’s happening. I’m really looking forward to that training so members of SuperFastBusiness, please join up for that. If you’re not a member of SuperFastBusiness, now is a great time to join the other three hundred and three members who are posting away, sharing great, valuable insights, and getting tremendous value inside this new community. I look forward to catching up with you next week. Thanks for the tips and insights James. Pricing is all relative. And there is no reason to sell yourself short. People want to pay for premium products and services. Looking forward to more good tips from you. thank you Stuart. Well said. Thanks Jame, I’m a major Wistia fan (just need the T-shirt) thanks for the vid info, it’s great that the IM space is starting to take on Wistia. Any plans to come to the UK?